Do I need to have a creative eye for design to become a Real Estate Staging Professional? The truth is yes, absolutely. While we will teach you all of the tips and techniques to put your natural abilities to great use, and apply these to selling a home, if creativity is something that does not come naturally to you, you will likely struggle to create the solutions that your clients will need. Is a Home Staging business a low-cost start-up? The initial investment required will depend on your business model, but regardless, it’s a business like any other business, and you should expect to invest in it’s success. Our Home Staging Career Webinar provides specifics regarding the areas that you can expect to spend money initially, and as you grow, to help you to have a better idea about what is involved. How much money can I expect to make as a home stager? What does my RESP™ certification training include? In addition to the in-class or online training, you will receive all of the course materials and tools to complete your training, including your RESP toolbelt and consultation tools (ruler, pen, pencil, eraser, flashlight, and more). You’ll also receive a colour wheel, tote bag, and Sherwin Williams fandeck. What if I have questions throughout the course? We offer discussion opportunities, both within our online training, as well as our private Facebook group for RESP students and graduates. Within the online training, you can ask questions about any of the material that you have, or discuss projects and/or challenges. Our Facebook group is a great resource for you to meet other stagers that you might want to collaborate with, share ideas, and receive honest feedback. We also host regular “office hours” within the Facebook group, where Shauna Lynn answers questions live in real-time. I learn better in a classroom setting – does SLS Academy offer an in-class certification training option? Does the RESP™ Certification Training Course offer redesign training? With completion of the RESP™ training, you will be qualified to work as both in home staging and redesign, and provide these services confidently to your clients. We cover a variety of design elements in detail, and address the difference between staging a home for selling vs staging a home for living. What sets the RESP™ Certification Program apart from other training programs? SLS Academy was created because Shauna Lynn saw a critical need for a better training program! One that offers extensive training, support, and real insights into the world of a home stager, and the real estate industry. With our training program, each module offers multi-media training, including video tutorials, slides, worksheets, plus other downloads, including cheat sheets, and customizable templates. You will not be charged a renewal membership fee, nor do we have additional fees for our templates for RESP students – this is an all-inclusive program, and while we will consistently offer continuing education courses that may be an additional charge, your access to the RESP course material is lifetime, including any future updates that we might add. Home Staging is gruelling work – we promise to continue to provide a real-world experience and training program. We want you to have realistic expectations, and we want to help you to achieve your goals. Our mentoring and job shadowing services help to ensure that you receive the complete picture, plus all RESP™ graduates receive a significant discount on 1-on-1 mentoring services. Shauna Lynn is an active, practicing home stager. This means that all of our course material is current and applies to today’s world of staging. We will continue to update our training material as real estate and design trends change over the years. We believe that real-world experiences are key, and provide actual staging scenarios throughout the training, in addition to offering the opportunity to job-shadow a local home stager prior to or following your certification (for an additional fee), no strings attached. 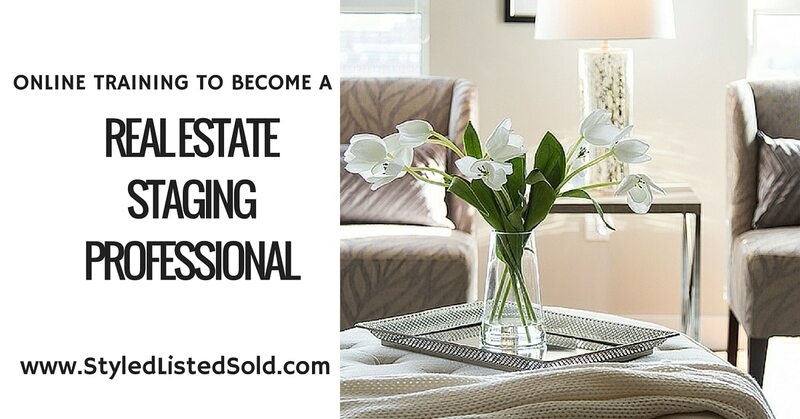 Taking advantage of this prior to receiving your certification allows you a glimpse at what a Real Estate Staging Professional means BEFORE you invest in the training. If I take the RESP certification training from SLS Academy, what other fees will I be expected to pay, either immediately or in the future? Do you offer other courses for home staging besides the certification course? Yes, we offer a variety of continuing education courses, focused around all facets of running a home staging business, from perfecting the various techniques to operating the day-to-day business. Click here for a full listing of the courses available now and coming soon. How long do I have access to my course or product that I purchase through SLS Academy? We offer lifetime access for all purchases.